This exquisite condo interior was designed by world-class architect Andrew Skurman and award-winning designer Suzanne Tucker with attention to every details and the finest materials. 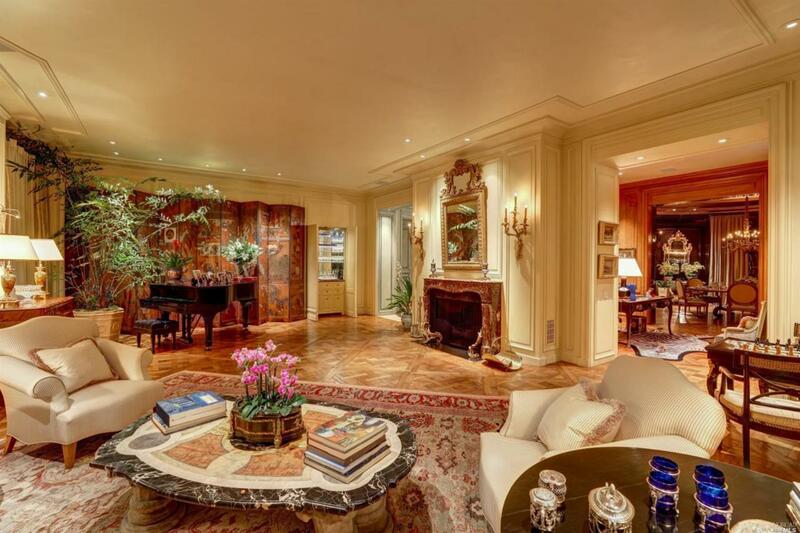 The Spectacular Crown Jewel of Nob Hill, this 3,640 sq. ft, 2 bedrooms, 2 baths full floor condo in the most iconic Beaux-Arts building features spacious living room & dining room with high ceilings, exquisite library/office, family room, and guest bedroom. Kitchen Dishwasher Incl. Double Oven Incl. Gas Range Incl. Island Microwave Incl. Refrigerator Incl. Listing courtesy of Olivia Hsu Decker of Golden Gate Sotheby's International Realty.